Today the City of Costa Mesa put out a call for volunteers to help with the disassembly and storage of the hugely successful Snoopy House display, which is currently in operation at City Hall and will be through Christmas Day. Santa will continue to appear through the 23rd. 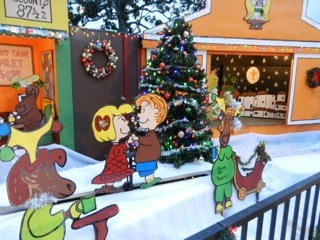 The Snoopy House holiday display comes to an end on Dec. 25, and volunteers are being sought to disassemble and assist with moving display pieces from Dec. 26 through Dec. 29 from 10 a.m. to 3 p.m. 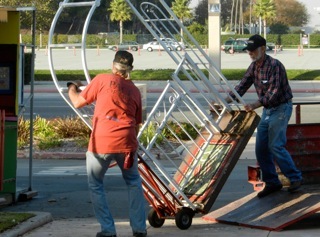 Please note that heavy lifting will be required for those assisting with moving display pieces. Time slots are flexible, and large community groups are welcomed to volunteer. To volunteer or obtain more information, contact Jim Jordan at (714) 556-3036 or snoopyhouse@gmail.com. Thanks to all those terrific volunteers who have helped put the display together and who have staffed it since the launch on December 14th.